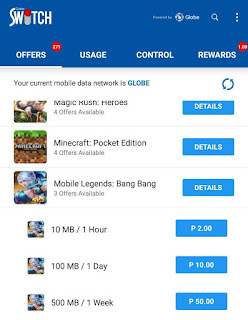 You can now play the new MOBA game Mobile Legends using Globe and TM, they now offer a promo exclusive only for the app. You can register to per MB’s data usage with three options you can choose depending on your load or budget. There’s a per hour internet access for only 2 pesos, the second is 100MB good for 1 day and the last one is 7 days online gaming for only P50. Team up with your friends and office mates during break time to play a 10-minute battle while you subscribed to this promo. Choose your favorite hero that can damage towers quickly or select based on ability and durability. Registration requires a regular load on your prepaid account and the Globe / Touch Mobile Switch app for Android. The first thing you need to do is download the app at Google Play Store, you need to register for a surfing promo for you to download and install it on your smartphone. You must activate and verify your mobile number to see list of promo offers in Globe Switch app. Once done, look at the ‘Available’ offers tab, then select Mobile Legends: Bang Bang app to views the promo details. Tip: While using the Switch app, you can turn on the data saver mode and monitor your bandwidth usage by going to settings. You can also get free rewards for app, SMS, call and voucher that you can redeem while using Switch app. 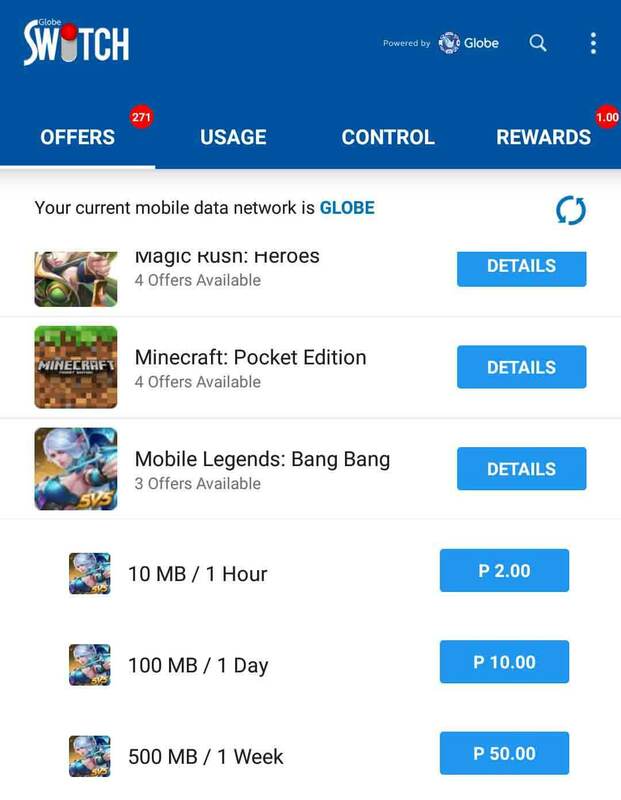 For now this promo is available only using the Globe Switch app, if you want more MB’s try out the new Globe GoSurf50 promo. Hopefully they will come up with an exclusive Mobile Legend surfing promo offer to their prepaid subscribers that we can register via GoSakto or *143# USSD code menu. If you like this offer, do share this post to your contacts to let them know the good news. I don't think this is useful since mobile legends is a bandwidth eater. 10MB for 1 hour? it's just for the loading of the screen. I tried playing with a 1GB data, it only allowed me to play i think that's only 10 game. Much better to use talk and text's ALLNET20. No data cap for games. 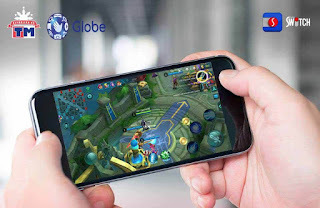 How to use allnet20 for mobile legend? how can we use the load of your phone to buy skins and diamonds using globe prepaid loads?